Angus MacDonald is a fiddle player with deep cultural roots in Cape Breton. His family is from Nova Scotia and despite living in Cranbrook B.C. he maintains close contact with the music, traditions and personalities of the Maritime provinces. 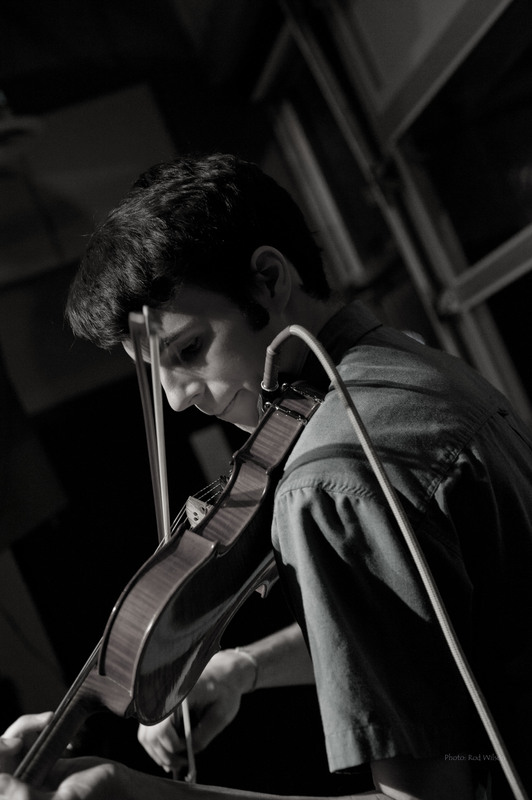 He acquired his first fiddle at the age of 11. He was a student of the Creston Blue Grass fiddler, Karl Sommerfeldt and has participated in regular skype sessions with Troy MacGillivary. He is currently attending Holland College in PEI and participating in their music and business programs and the many traditional music sessions on the island. He has also attended the Port Townsend fiddle camps (Washington, USA) on a regular basis. Recently he won scholarships to the camps. His regular attendance there has put him in intimate contact with some of the giants of Celtic music. He has played and jammed with the likes of Liz Carol, John Doyle, Fred Morrison, Andrea Beaton and others. He is also plays mandolin, upright bass and also side drum with the Kimberley Pipe Band. He is passionate about the music, constantly learning new tunes and practicing for hours each day. Angus is the leader and Musical Director of the traditional music group Leather Britches.